Can you believe that the holidays are upon us! I cannot! 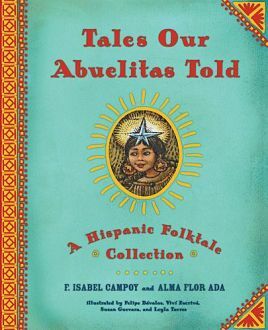 Although we are sad to say that this is our last week of the Tuesday Giveaways for this semester, we are happy to have given out so many great books thanks to Alma Flor Ada and F. Isabel Campoy’s gracious donation and we want to encourage you to look out for some more giveaways in the spring! 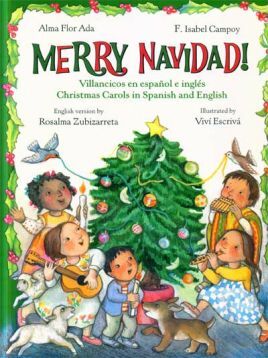 Our final giveaway of the semester will be Merry Navidad!, co-authored by Alma Flor Ada and F. Isabel Campoy, illustrated by Viví Escrivá, and translated into English by Rosa Zubizarreta. 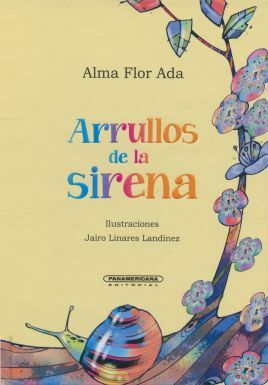 This book is described as a “warm and vibrant collection of traditional Spanish Christmas carols, or villancicos, [in which] authors Alma Flor Ada and F. Isabel Campoy bring to life the holiday traditions of Latin America and Spain. The creative English adaptations by Rosalma Zubizarreta both capture the spirit of the originals and add a new dimension to the songs. 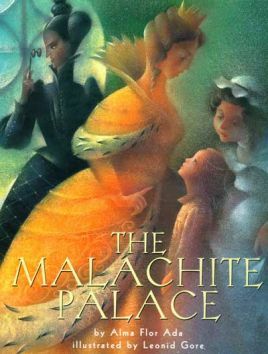 And Spanish illustrator Viví Escrivá‘s spirited illustrations are perfect backdrops for the lyrics, adding rich holiday flavor.” It would be a great addition to classroom holiday activities for all age groups. Are you ready for a sing-along? Comment below and let us know! Have a happy and safe holiday season and don’t forget to check back in the spring for more giveaways! Image: Photo of Merry Navidad! Reproduced from Alma Flor’s website. 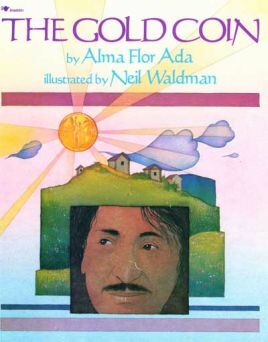 Book Giveaway: The Gold Coin PLUS Alma Flor’s Narration (CD)!